Rigid gas permeable lenses are essential for many contact lens wearers, but it is also vital to keep them clean. 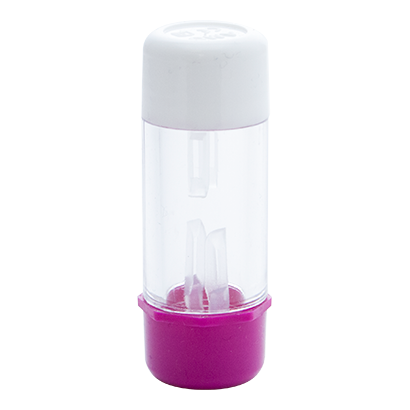 With this Total Care Contact Lens Case, ensuring the RGP lenses are perfectly clear will be made much easier. The Total Care RGP Contact Lens Case is intended to complement Total Care solution products, keeping RGP lenses safe and thoroughly bathed in cleaning solution all night long. Lens cleaning is important to general eye health, and any way that it can be made easier will be welcome for contact lens wearers. This RGP lens case will be useful for any RGP lens wearers, and can be used when travelling to ensure that right and left lenses don't become confused.